Athens-Limestone Surgery Center is a newly constructed 75,000 square foot facility located in a federally-designated medically underserved community. The primary tenant, Athens Limestone Hospital (ALH), is a not-for-profit community medical facility. NCIF provided $6 million in New Market Tax Credit allocation and $1.5 million of debt to finance construction of the Athens Limestone Surgery Center. 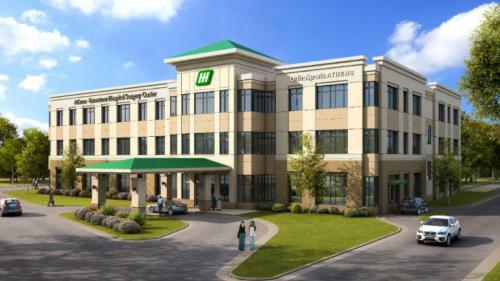 Athens Limestone Hospital (ALH), the primary tenant, is a not-for-profit community medical facility that provides primary and surgical services to Limestone County and surrounding areas. The newly constructed 75,000 square foot facility will include a surgery center, an orthopedic medical practice, imaging lab, and medical offices for approximately six physicians' practices. Athens residents currently have limited access to primary care physician services with the exception of an urgent care facility located at the ALH main campus. The ALH main campus is also the only facility in the county for surgeries. The project will improve access to primary care and will expand surgical services in the area due to capacity being reached at ALH's current facility. United Bank of Alabama: United Bank of Alabama, located in Atmore, Alabama, is a CDFI bank and long-time partner of NCIF. They are playing a significant role in the project as both a lender and providing NMTC allocation.